Barista&Co are a UK born and bred coffee accessory brand, based on the South Coast of England. Headed up by husband and wife team James and Louise Gray, we have a vision to create a community of people who believe in better coffee for all. We’ve seen how great coffee can bring people together, and we want to recreate this through our products. We know everyone has different tastes when it comes to coffee, so why settle for just French Press? It’s time the tradition changed. Designing innovative products that are simple to use and effortlessly stylish sums up the ethos of the brand, better coffee should be available to all. Barista&Co has undergone a dramatic transformation in the past 12 months and offers two distinct ranges – The Beautifully Crafted Collection and The Made Simple Collection. The Beautifully Crafted collection offers a design-led proposition without sacrificing on performance in any way. Combining premium materials with ergonomic, elegant and timeless design so you can craft your perfect cup of coffee. The attention to detail in the collection goes above and beyond the standard to be the professional’s range of choice. The Made Simple collection brings true innovation to the coffee category with vibrant modern colours and brings a spark of design to any coffee preparation and delivery. Robust enough to be used daily in any setting and innovative enough to be used by professionals looking to showcase new preparation and serving methods. 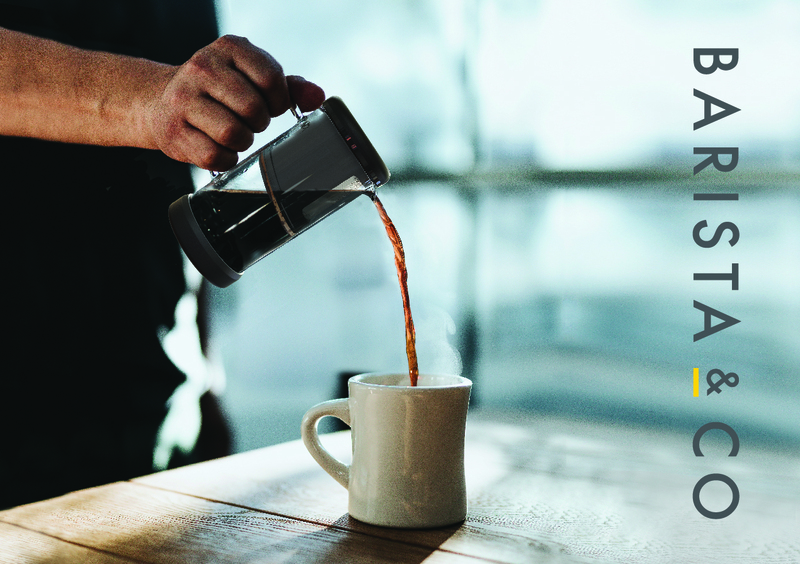 As well as launching over forty new coffee brewing products at Caffè Culture 2018, we will also be showcasing our Serve&Sell programme designed to provide a retail solution and drive extra revenue for coffee shops. Our journey has just begun, so come along for the ride.